We’ve all heard the saying, “You are, what you eat.” So, it’s only natural that a healthy diet makes for a healthier you. This is especially true for older loved ones. A well-balanced regimen, rich in vitamins and nutrients, becomes more essential to our overall well-being as we age. Over time, the body begins to go through a lot of physical changes. Our metabolism start to slow down and we don’t burn as many calories as we should. The digestive system no longer absorbs nutrients the way it used to, and we tend to lose much of our appetite. That’s why it’s more important than ever to maintain good eating habits. Even if your loved one isn’t receiving personalized elder care from a licensed home care agency, preventing chronic health conditions like diabetes, high blood pressure and high cholesterol is still possible just by eating right and staying at a healthy weight. 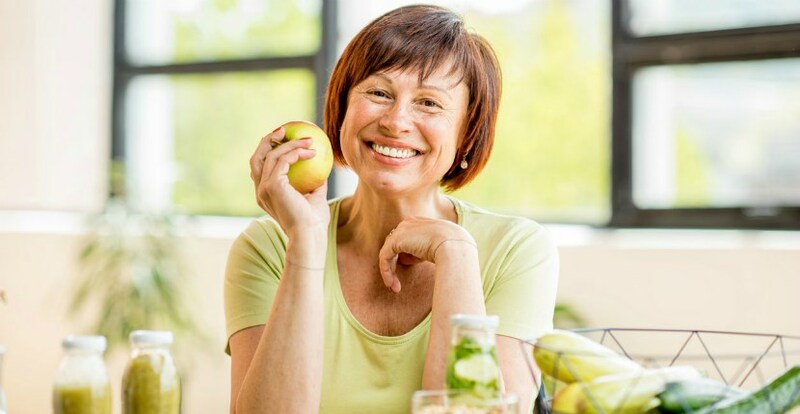 If you’ve been wanting to change your diet, but didn’t know where to start, Freedom Home Care offers a few tips below we think that will to help you accomplish both. Seniors’ health needs are different than the needs of young adults. Because these needs are more complex, it can be a challenge to get enough of the right foods on a daily basis. Seniors often lack Vitamins B12, E, calcium, zinc and Folate. When the body isn’t receiving the right kinds of nutrients, we begin to experience things like irritability, loss of appetite, weakness, anemia, neurological problems and muscle cramps. There are a number of different meal plans that offer elderly loved ones a variety of healthy, well-balanced options. The USDA recommends a nutrition-based diet. This would include brightly colored foods – like purple, red, green and orange vegetables, lean meats, seafood, beans and eggs, and low-fat dairy products. If your loved one needs help with preparing healthy meals, let our trained staff help with our in-home care services. Call us today for more information!